Although the advent of Christ had to be accomplished in humility, contrary to the expectation of the Jews, it would not be utterly destitute of glory and brilliance. This brilliance was necessary so that the Jews might see that as humble as their Savior was, and as contemptible as he appeared, he could yet attract the greatest glory that men were capable of giving — even to the point of his being made king — had not the ingratitude of the Jews and a secret dispensation of God’s wisdom prevented it. This is what we see in his entry into Jerusalem, the most striking and beautiful royal entry ever made. A man who seems to be the lowliest in consideration and power, receives from all the people, both in the royal city and in the Temple, honors greater than any ever given to a king. This is the brilliance. Yet we must not forget the humility and infirmity that were inseparable from the earthly condition of the Son of God, and we will see them too, after we have considered his glory. Although the Son of God appeared to be the least of men, he was born to be a king in the most admirable way possible. Because they admired his deeds, his holy life, his miracles — so compassionate toward mankind — the crowds had left everything to follow him, together with their wives and children, even into the desert lands far from their homes, without so much as thinking of their everyday needs. And when Jesus had fed them with five loaves and two fish, to the number of five thousand men “besides women and children” (Matt. 14:21), they were so amazed that they “were about to come and take him by force to make him king” and recognize him as the Christ (John 6:15). Visible then was some of the same brilliance that we see here today, in his entry into Jerusalem. On the day of the Palms, however, it pleased him to allow his people’s admiration to declare itself. This is why they ran before him with palms in their hands, crying out that he was their king, the true son of David who was to come, and the Messiah for whom they had waited. Children joined in, and their innocent witness shows us just how sincere was the people’s joy. Never had so much been done for any king. This article is from Meditations for Lent. The people cast their own clothing upon the path before him; they hewed down green branches to cover the road; everything, even the trees, seemed to bow before him. The costliest of tapestries ever displayed for a royal entry could not equal these simple, natural ornaments. The trees pruned and the people stripping themselves to prepare the way for their King: it was a ravishing spectacle. In other royal entries, the people are told to prepare the way, and their joy is, as it were, by command. Here everything was done by the movement of the people’s hearts alone. No outward splendor struck the eye. This poor, meek King sat upon a donkey, a lowly, peaceful steed. There was no horse whose spiritedness would attract regard. There were neither followers nor guards, neither spoils of victory nor captive kings. The palms carried before him were the mark of another sort of victory. All of the apparatus of an ordinary triumph was banished from this one. In its place, we see the sick whom he had cured and the dead he had brought back to life. The person of the King and the memory of his miracles were what made the feast. All that art and flattery can design to honor a conqueror in a day of victory gave way before the simplicity and the truth that made their appearance here. With this holy festivity, they led the Savior to the middle of Jerusalem, to the holy mountain of the Temple. There he appeared as its lord and master, as the son of the royal house, the Son of the God who was worshipped there. Neither Solomon, its founder, nor the high priests who officiated there had ever received equal honors. We should pause here and take the time to reflect upon the whole of this great spectacle. 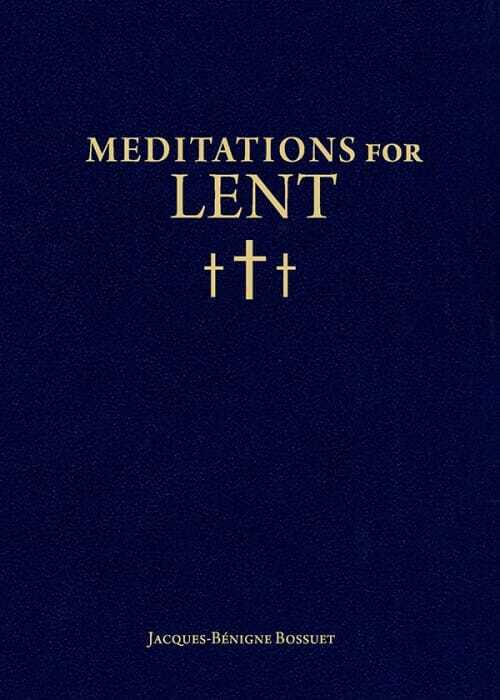 This article is a Holy Week meditation from Meditations for Lent. It is available from Sophia Institute Press.